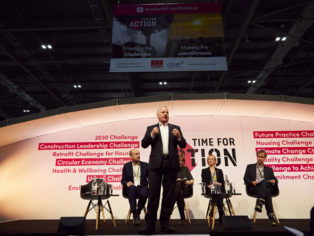 With a firm focus on showcasing true innovation and tackling the biggest issues facing the industry head on, the first Futurebuild launched with a bang. Bringing together over 500 industry-leading brands and more than 600 inspiring speakers, the event opened with a programme of activity centred around supporting visitors to take action today to deliver a better tomorrow. Activity at the area kicked off with a discussion on how climate change is shaping the future of innovation in the energy sector. Leading experts in the field such as Liam Winder of Innovate UK and Mark Taylor, Deputy Director of Energy Innovation at BEIS, provided insights into how the Government is delivering against its Clean Growth Strategy and how the organisations have been supporting innovative companies to grow and thrive. Exemplifying Futurebuild’s commitment to supporting innovative smaller businesses in sharing the same platform and have opportunity to be part of the conversation as established brands, over 40 innovative SMEs are exhibiting as part of the Innovation Zone. 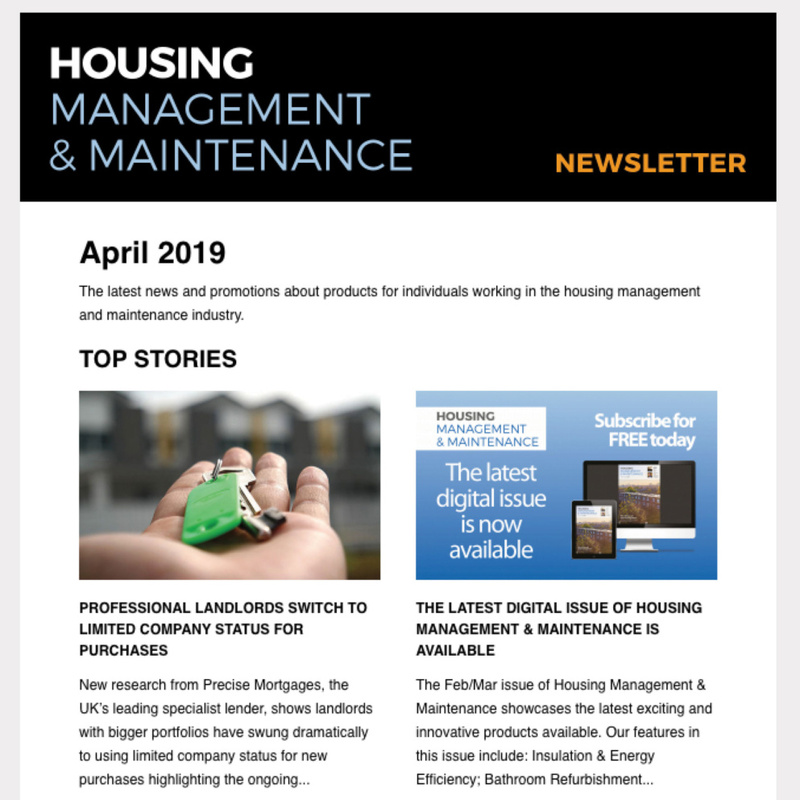 This focus is reinforced across the exhibition floor, with new industry disruptors playing a prominent role in areas such as the Waste Zone and Vision London. Innovation was also at the heart of the many never-before-seen full-scale builds on show. Proving a real highlight on day one, visitors flocked to view Tufeco’s Vistadais One pod – a luxurious, completely autonomous home. Likewise capturing the interest of attendees was ZED, an initiative that enables sixth form students to learn vital construction skills while building affordable, energy-efficient, multiple-occupancy homes. 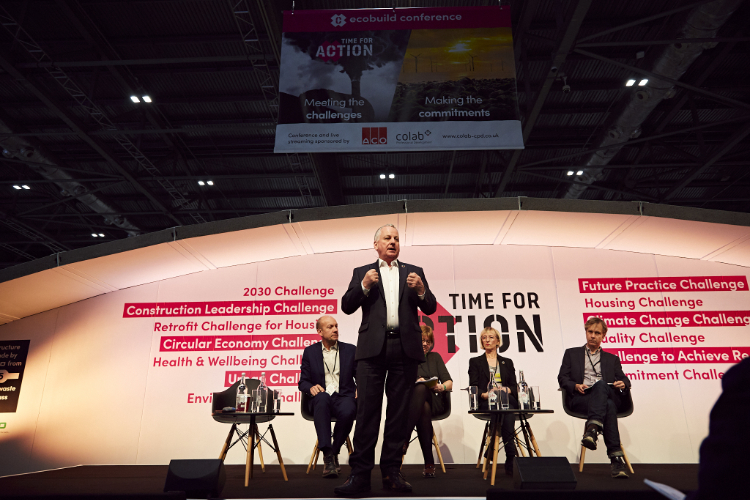 Sitting at the heart of the event, the ecobuild Conference began with a high level discussion on the urgency of ‘now’ in achieving our obligations under the UN Sustainable Development Goals (SDGs). The Rt. Hon. Lord Jack McConnell, Chair of the APPG for the SDGs, joined leading thinkers from across industry and academia to explore why now is the Time for Action and how we can meet the ambitious goals. Lord McConnell took the opportunity to highlight to a packed auditorium what makes the SDGs more crucial compared to previous targets and discussed some of the areas where we can further strengthen how we deliver on the goals year-by-year. Away from the conference, there was standing room only at many of the event’s eleven seminar streams, with new additions such as the theatres in the Interiors Hub and Vision London proving particularly popular. The interiors programme featured a range of industry-leaders sharing their expertise on cutting-edge issues around the role of interiors in achieve improved health, wellbeing and productivity outcomes. At Vision London meanwhile, speakers from prominent organisations such as TfL, British Land and Levitt Bernstein looked into the future of the city in detail. Displaying an abundance of new solutions to help tackle the challenges facing the industry, exhibiting organisations played a key role in creating an exciting and informative experience for attendees. 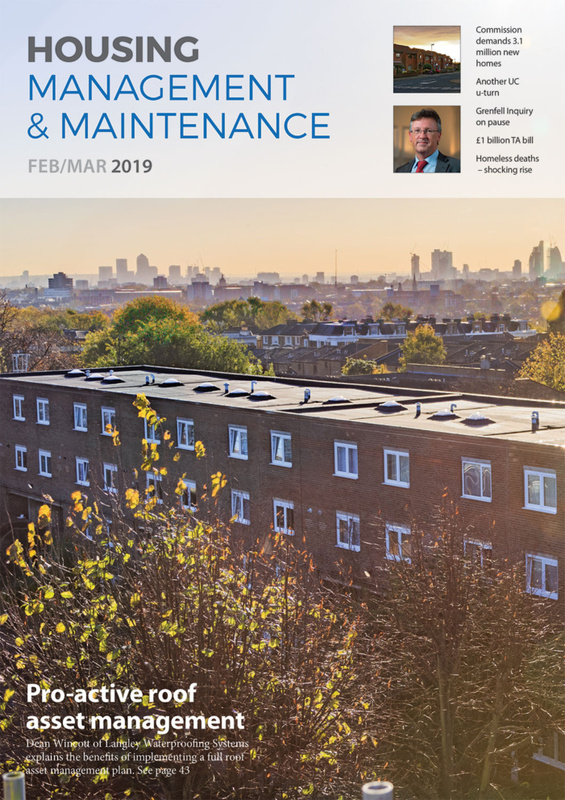 Highlights on day one included Polypipe’s launch of a new guide focused on inspiring green urbanisation and discussing the multi-functional benefits this can deliver. Wood for Good and TRADA, meanwhile, joined together at the Materials Hub to launch a new guide focused on collaboration in the design of innovative timber buildings. Hurn commented: “Today has been a fantastic opening to Futurebuild. From meeting and being blown away by the passion of the next generation, to launching our ambitious conference programme, which sets out to really explore and tackle the biggest issues facing us all, it really had it all. Most of all, the day really demonstrated what makes Futurebuild the premier platform professionals from across the build environment – and beyond – to unite, share knowledge and work collaboratively to create a better tomorrow.